“The Star,” was based upon a small donkey named Bo who dreamed for adventure beyond his daily job at the village mill. One day he finds the courage to break free and set out for his adventure meeting Mary and Joseph. On his journey he goes through obstacles that draws him closer to the two. Bo teams up with Ruth, a lovable sheep who has lost her flock and Dave, a dove who is also his best friend. Along with three camels and stable animals, Bo and his friends follow the star and becomes accidental heroes in the greatest story ever told- the first christmas and birth of the newborn king. I would say that this movie was perfect for the younger generation. Watching this adorable movie I grew to like the storyline even more. I would rate this movie four out of five stars. Daddy’s Home 2 is a holiday sequel to Daddy’s Home. The first movie was about an intrusive dad and step-dad fighting over who’s best for the kids. The main goal was for the two; to get along with each other. This movie is about all dads that come together to try and give their children the best Christmas ever. After both Brad and Dusty’s father come into the picture there was twists and turns but they managed to still have the best holiday. Both movies have the same plot or front story and are equally as funny. I would give this movie a 4.5 / 5 stars and recommend everyone to see it. 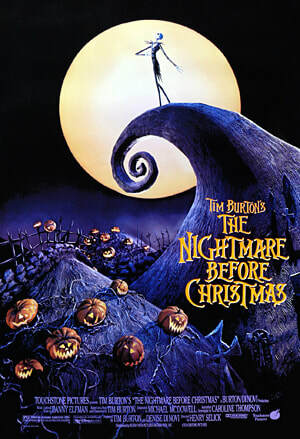 This movie is about a tale where Jack Skellington is a creature who is the pumpkin king of Halloween what Santa is to Christmas. Jack became bored with staging yet another fright night for the members in Halloween town. He wanders off away from town and stumbles across Christmas town and became entranced. Jack decides to bring Christmas to Halloween town and is willing to do anything to make it happen, even if it deals with kidnapping Santa himself. But, unfortunately his plans didn’t goes as exactly planned. Whether there’s a coffin-shaped sled pulled by skeletal robo-reindeer to gifts that terrify their recipients or shrunken heads, or snakes that devour Christmas trees, the effects just don't come out the way Jack wishes. The military was called and shoot Jack down. I would give this movie a 5/5 stars. This movie is basically perfect if you like Halloween and Christmas then this movie is perfect. 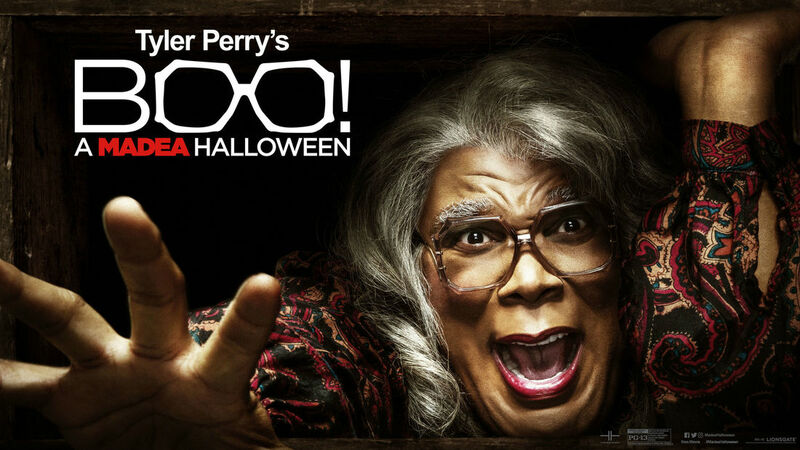 Madea and her gang are back for a hilarious sequel.Tiffany secures an invite to a college fraternity’s Halloween party taking place at Lake Derrick. When Madea found out about it,she knew it was a bad idea. Madea, Joe, Bam, and Hattie went to spy on and protect.Madea winds up in the middle of a mayhem where she will spend a haunted Halloween fending off killers, paranormal poltergeists, ghosts, ghouls, and zombies. Later, at the party, she has to deal with people starting to disappear.I would give this movie at least 4.75/5 stars. I find this more of a mysterious movie because it keeps the suspense going all until the end. In the movie, If I could I would change how Tiffany peer pressures her best friend instead of encouraging her to do the right thing at the party. Salon Central is one of the best hair salons on the west side of Charlotte. I would personally recommend this hair salon for any type of hairstyle that anyone may need.Salon Central is located at Freedom Village Shopping Center 1039 Alleghany St, Charlotte, NC 28208. Store hours are very convenient and they also accept walk-ins. Salon central is one big salon with different separate salons in it.I think there are about 15-20 salon rooms in this big establishment.This salon is filled with different types of hair specialists. Some people cut hair, do dreads, braid hair,sew-ins, and quick weave. These people are amazing, I love them. I mainly go to Salon Central to see Daba for my braids.By far this is the best braiding shop in Charlotte, they constantly keep the shop clean and provide quick and great quality service. The owner was very friendly and I could tell she is a hard worker. I would definitely be returning to get some braids re-done and I would definitely recommend Daba's shop which also provides a wide variety of different types of braids. The Polar Express is a movie that came out in 2004. The movie is a tad bit overplayed, but it remains a Christmas classic. They play this movie every single year, especially for Christmas celebrations in schools. I’ll give this movie a 4 out of 5 stars. It’s about how a boy who didn’t believe in the spirit of Christmas, as well as Santa Claus, learned to believe by being taken on a trip to the North Pole. Along the way, they face many problems. They ended up being separated from the rest of the group, being sent down a deep trench, and losing a ticket. This movie gives me insane amounts of joy. I always thought that Santa was real, since I heard the bells. The graphics are advanced for 2004, considering that video games now look like actual movies. We get a good idea of what the characters personalities are, however we don’t really know their names. They are introduced as ‘hero girl’, ‘hero boy’, ‘know-it-all’, etc.. In all, this movie is a fun movie for Christmas and it’s a classic. Every year West Meck has college trips to different colleges all around the Carolinas. The trips are free for students and funded through the Trio program. The program is run by Ms. Forst and Mr. Bibbs.They both lead and takes part in all of the trips. On these college trips, students take part in observing the college students daily lives on campus.The students observe them by doing things like watching them study on the courtyard and watching them as they interact with each other in the dining hall. One of the most important things that the Trio coordinators ask about is location.“ Location is the most important factor when it comes to finding a good school for our kids.” says Ms. Forst. 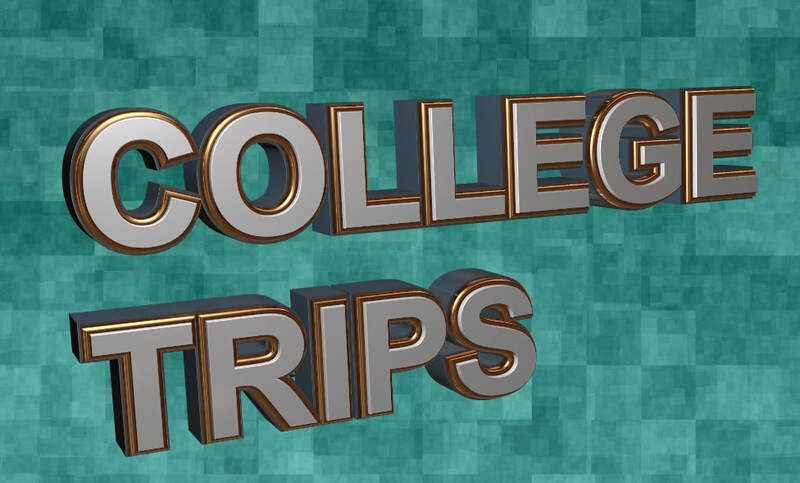 I would overall give the college trips a 5/5 rating because the students get to take part in such great experience of what college is and how it really works. This could help them prepare for their future in college. 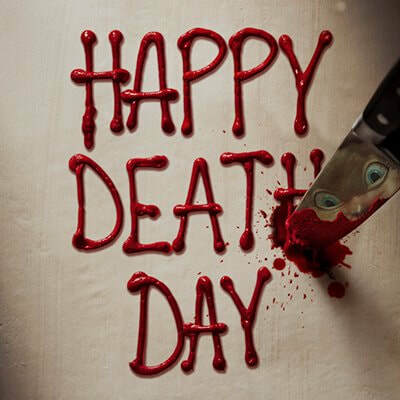 Happy Death Day is clearly ‘Groundhog Day’ reborn. I would give it 3 out of 5 stars. Obviously, the plot is simple: a female spends her birthday constantly and the day starts over once she dies. Her goal is to find out who kills her and why or she’ll remain in the same loop over and over again. The characters ‘seem’ likable. Tree (one of the characters), seems like a major self-centered prick from first sight, as she’s a bratty sorority girl. She dies multiple times. It has the basic slasher things: a guy with a mask, a dark hoodie, and stabbing. It’s not very gory, so people with weak stomachs can handle this movie. However, the movie includes scenes that are acceptable for viewers at least sixteen years of age. I won’t go into detail about that, but the language and some scenes aren’t suitable for people under the age of sixteen. In all, the movie is pretty decent and I found myself in laughter during some parts, as well as rolling my eyes at others. 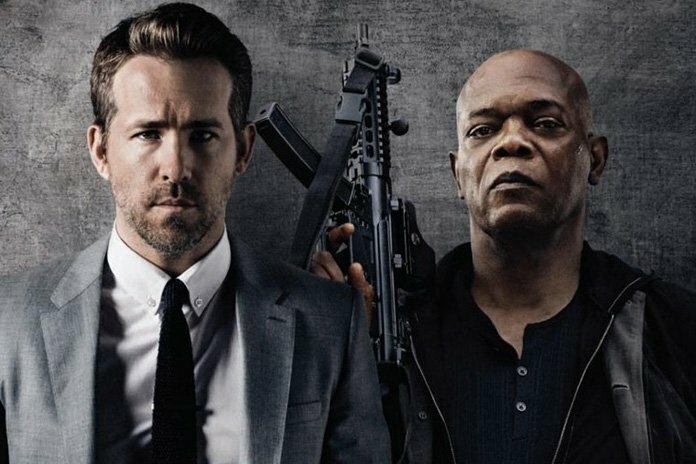 The Hitman’s Bodyguard is about the world’s top protection agent Michael Bryce (Ryan Reynolds) and his new client a notorious hitman Darius Kincaid (Samuel L. Jackson) who must testify at the International Court of Justice.Kincaid is the only one who is brave enough to testify with evidence against a Belarusian dictator. In order for this to work they have to put their differences aside so they can get to the trial on time.But, they run into a lot of obstacles on their way the trial. On their adventure from England to the Hague they experience car chases and outlandish boat stunt. I would give this movie a 3/5 stars. I see the movie as more of a comedy and less of an action movie since there were a lot of funny moments instead of more action. If you are up on fashion, chances are that you have heard of the street clothing brand Bape. Bape is a well known brand that has only grown in popularity over the years, and is notorious for their logos. West Meck students seem to like the brand a lot, and even though the brand is typically more expensive than others, many still find ways to buy hoodies, shirts, pants, and all from the brand. Bape was originally founded in 1993, and ever since the craze world wide for the brand has skyrocketed in popularity. The brand has become so demanded for, that many replica company’s have tried to copy the brands iconic styles and they are usually sold as a cheaper alternative to the real version. Some West Meck students have fallen victim to buying fake Bape, but it’s definitely not their fault and it’s just how the market works. Also there is nothing wrong with wearing fake clothes if you can pull it off right. I’m pretty sure most people want to wear authentic clothing so if you are interested in buying anything make sure it’s from the right website or store. I rated the brand 4 out of 5 stars . When you need a shoe that is not only comfortable, but versatile, Vans are the only way to go. I bought a pair of the 'Perf Leather Slip-Ons' in black because I wanted something that I could wear for long periods of time that still were stylish. These shoes go with everything! I can wear them with jeans or dresses, and as long as I keep them clean I can even get away with wearing these at work. I am on my feet for anywhere between 3 to 9 hours a day, so I needed to invest in a decent pair of shoes. I bought them for $60.00, which at the time seemed expensive, but I do not regret it. I have had these for almost a year now and wear them almost 4 times a week , and they have gotten me through each season without much wear and tear on the shoe. The soles of the shoes are not worn, so they are still comfortable. They are leather, so over time they have stretched out a bit-this just adds to the comfort aspect of the shoe. They are very easy to clean too, I usually just wipe them with a wet paper towel whenever they start to look dingy and they are as good as new! I love these shoes so much that I saw them on sale at another retailer and bought a extra pair, and I recommend them to all of my friends. I would give the movie “IT” a 4 out of 5 stars. The movie “IT” (2017) is a remake of the original (1986) movie “IT” by Stephen King, and in certain scenes, you can definitely see the similarities and differences. They both have a clown, but the clowns differ in their looks. In the original movie, they were children for a certain amount of time, and then it shows them as adults. This movie is different, because it’s like they took the book and cut it in half, as they don’t do the adult part in the movie. The children stay children throughout the whole movie, so the ending of the movie is different from the original movie that was made in 1986, where they are all adults. It’s an interesting twist. The jumpscares sometimes catch me completely off guard. The movie does a great job with a lot of things and it makes this movie wonderful to watch.